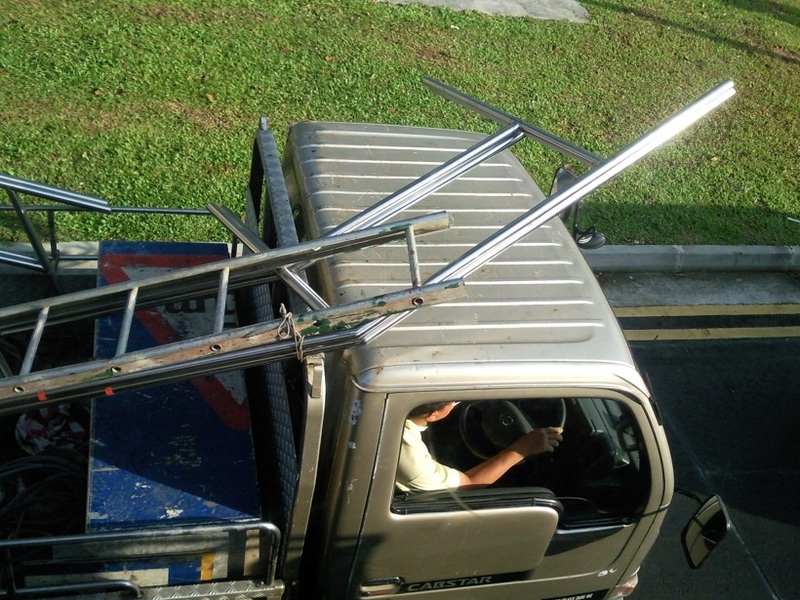 Ladder and metal railings protruding out of his lorry with no canopy. What on earth is this driver to do ? 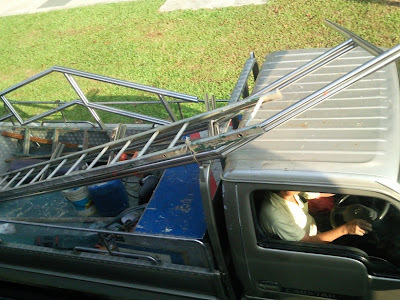 Picture taken on 24 Feb 2011, around 9am.